Who doesn't love Taylor Swift? Despite of her love life scandal, she is really a talented singer-song writer and her looks always be youth's trend. 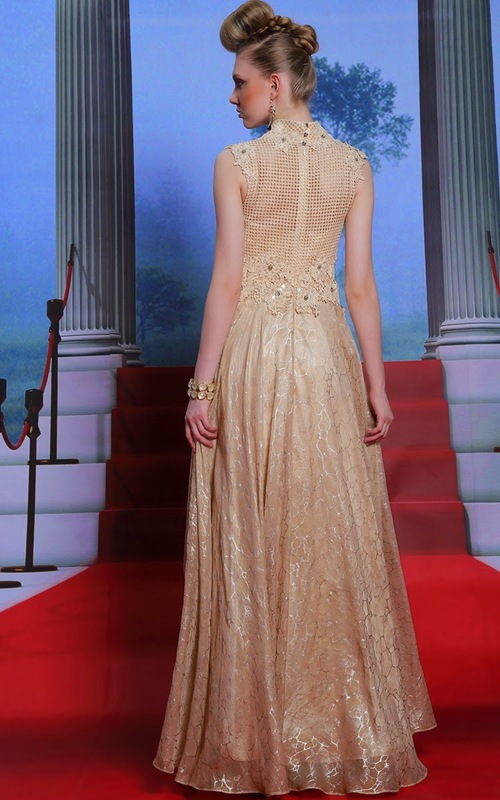 From today's article, I'll try to give you some inspiration how to dress up like Taylor Swift in your prom night, or any other formal party and where to get the look-a-like dress with affordable price from Promtimes's store. Don't know their store yet? Well, Promtimes is an e-commerce site which came from the same company as Avivadress UK that I've been reviewed in my previous post here, but Promtimes focus in selling the prom dress, while Aviva dress focus in bridal gown. Want to steal entire guess's eyes with your sexiness? Wear this dress! Never limit yourself, be confident, be the best version of you with this backless dress from Promtimes UK. The sample is in green color, don't worry, you can request for another color because they also provide custom made dress. Confidently choose the color and the suited size. Look how amazing Taylor Swift is when she won those award wearing the gold dress. I bet you want to win over your crush too in the time you enter the ballroom. Choose this dress, and be glamorous! Your choices of dress are really great. I like how they look like the original but not exactly. Beautiful dresses. awesome post, love all of these looks!